Abroad – What is your favourite holiday destination? It would have to be Las Vegas – I’d love to go back and do it all again. Book – What is the last book you read? Cue – What cue do you use? I’ve been using a John Parris cue for the last five or six years. My first one was a Tom Newman cue which I basically wore out. Day – What happens in a typical working day for you? I get up, do my daily chores then go to the club. On a good day, I’ll go to the gym in the evening, make dinner and watch TV. Education – How would you get on in a pub quiz? I think I’d do alright – I was one of the few players to finish school and do my A-levels. I actually won the last quiz I entered, although it was mainly about sport so I had an advantage. Film – What is your favourite film? I’m a bit of an old romantic and like rom-coms like Love Actually. I also like British gangster films like Love, Honour and Obey. But my favourite film to sit down and watch with my girls is Chitty Chitty Bang Bang. Goals – What are your aims for this season? I won my first ranking title last season so to experience winning again would be amazing, but I’ve always had a good outlook on snooker and just want to try and enjoy each season. Hobbies – What are your interests away from the table? I play a little bit of golf, but the sun needs to be out. I also love football and try to watch Arsenal as much as I can. Idols – Who are yours? Growing up it was always Jimmy White – he got me into snooker and I loved the way he carried himself. He was always the nearly man, but kept battling away and never made excuses. 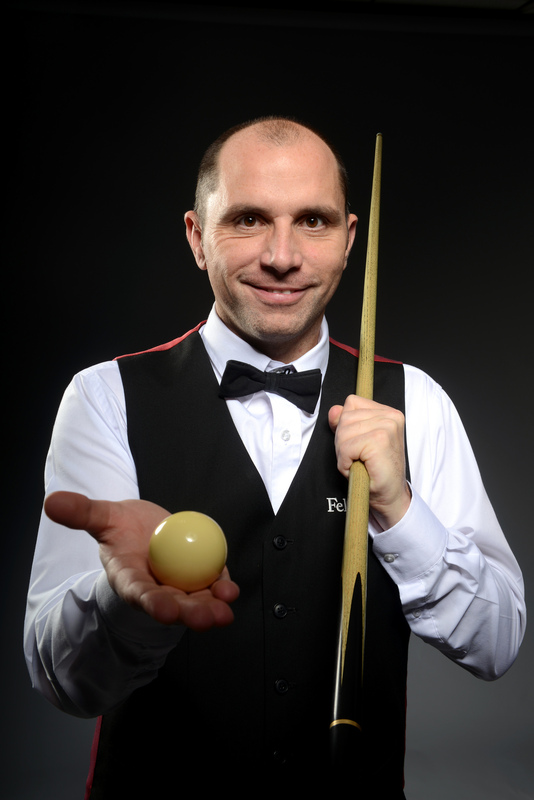 Job – What would you be if you weren’t a snooker player? I studied law at A-level and also enjoyed maths and accountancy. If I hadn’t been a snooker pro, I’d have loved to be involved in law as a barrister or possibly an accountant. Kid – Were you a well-behaved child? I spent my first 14 years in London and had numerous suspensions and truancy reports to my name. When we moved to Cambridgeshire, I didn’t know anyone so I got my head down and came away with some good qualifications. It took a while but I got there in the end. Lucky – What is the biggest piece of luck you’ve ever had? 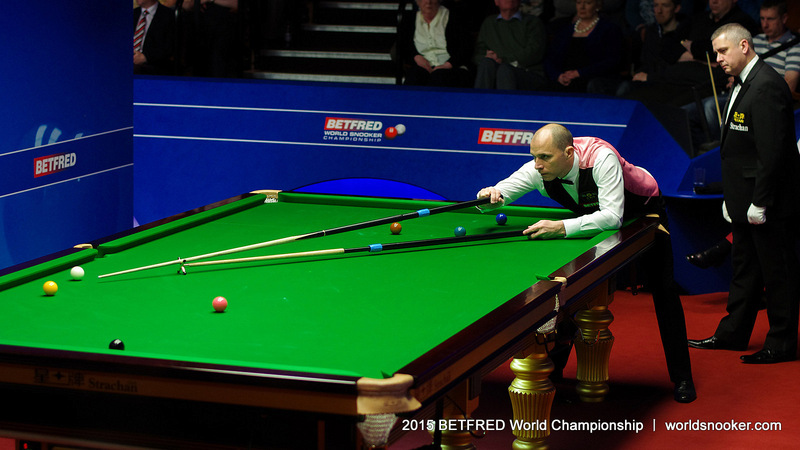 I reached the quarter-finals of the 1999 China Open but, on the final qualifying day in Blackpool, I was lying in bed and Stuart Bingham phoned me. I thought he was playing one of his practical jokes but I answered the phone and he told me I was due to play in five minutes. I managed to run to the venue and beat Alan McManus 5-0. Moan – What makes you have a good moan? 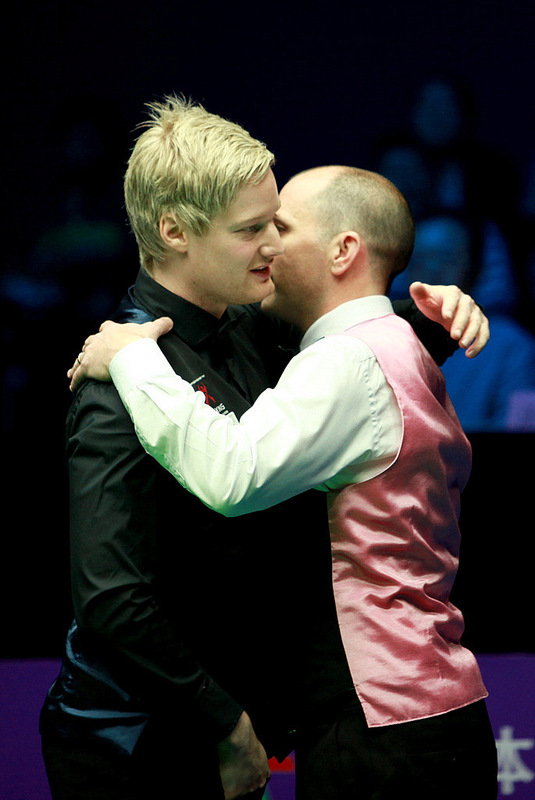 Nightmare – What is your worst moment on a snooker table? The one that keeps me awake is when I lost 9-8 to David Gray in the semi-final of the 2004 UK Championship. I had a simple ball to pot, something distracted me, I took my eye off the shot and I messed up when I was on the verge of my first major final. It hurt me for quite a while afterwards. Oops! – What is the clumsiest thing you’ve ever done? I backed my car into a post once when it was the only thing I could hit in the space of around 100 square yards, but I managed to do it through not concentrating. It set me back a few quid. Picky – Is there anything you are particular about? In snooker terms, I’m quite picky about the way people are dressing at the moment. I’ve got a bee in my bonnet about these funny bow-ties – I’m a traditionalist and think they’re an easy get-out for the guys that don’t like wearing them. Quiet – How long could you last in a sponsored silence? Not very long – you won’t see me with my headphones in and watching the laptop. I’d rather be engaged in conversation even if it’s something not really worth talking about. I’m not one of these modern social media-orientated people. Retirement – What do you plan to do after hanging up your cue? I’ve got plans of emigrating to somewhere in the sun. I like waking up with the sun shining, so I can see myself sitting around my pool or going to play golf with my shorts on. Hopefully, that’s something I will achieve one day. Shopping – Where do you buy your clothes from? When I was younger, before having the responsibilities of houses and children, I followed the fashion designer labels. But I’m more a high-street person now and my favourite shop at the moment is All Saints – I can’t go in there without spending silly money, I try to walk past but it’s not easy. TV – What are your favourite programmes? My favourite programme of all time is Only Fools and Horses – it never dates, I know exactly what’s coming but I still laugh in anticipation. I also quite like some of the three-part or four-part drama series, but I’m not really one for soaps. 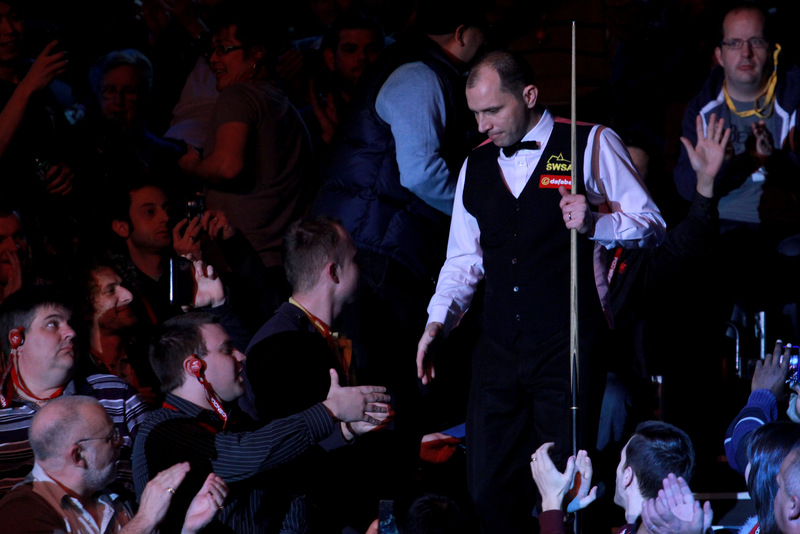 Unforgettable – What is your greatest ever moment on a snooker table? Up until winning my first ranking title, it had to be sinking the black to beat Steve Davis 10-9 on my Crucible debut in 1999. I can still remember looking up and seeing my dad nearly falling off the balcony because he was so excited – that moment will live with me forever. I think I just eclipsed it this year when I won the Players Championship because it was a dream come true, but it’s a dead heat between those two. Venue – What is your favourite venue to play at? It has to be the Crucible. I think we’ve played in better looking venues – when I was in the Premier League, I was lucky enough to play at the Assembly Rooms in Derby which I thought was a fantastic venue – but for atmosphere and tension you cannot beat Sheffield. Wheels – What car do you drive? I’m currently driving a Ford Series BMW M Sport. X – If you could kiss any girl in the world, who would it be? That’s easy – I’ve always had a massive crush on Kelly Brook. YIKES! – Do you have any phobias? My legs normally tremble when flying but I don’t really have a phobia, as such. Zzzzz – What puts you to sleep? If I’m struggling during tournaments, Snooker Extra normally does it for me.